Mission: The Missouri Public Entity Risk Management Fund works to provide a shared risk pool to Missouri public entities offering those coverages that are stable economic alternatives to traditional insurance policies. Function: The Missouri Public Entity Risk Management Fund provides the general administration of and responsiblity for the proper operation of the fund. 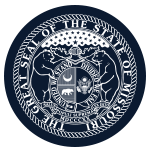 Member Requirements: Members appointed by the Governor must represent a public entity which participates in MOPERM.